I spent some time late last week chatting with one of our earliest investors, John Dukellis. John is a Senior Director at PayPal and leads their next generation wallet offerings. We are privileged to be one of a few investments he has made, and to have access to his perspective and expertise. Here is a writeup of our chat. What’s your background? What parts are relevant to PayJoy? I was in venture for five years, part of about 30 deals, a lot of which were focused on fintech. I have been in payment startups for 8 years, including running a Mastercard spinout, and COO for a company doing youth accounts. From there I went to PayPal, been there for about two and a half years, managing our next generation wallet team of 35 global product managers. PayJoy is finding a way to protect your downside risk and finding a way to serve a market that is underserved with better use of data. It seems very analogous to what Uber is doing for leasing to drivers, as they have controls and good data and they are serving an underserved market. What inspired you to invest? The presentation at Village Capital (link) really got to me. I tend to evaluate based on where I think competitive advantage can win and throw a few hard questions in, and the plan was buttoned up. Doug [Ricket, PayJoy’s CEO and co-founder] was a Stanford and MIT guy, as was I, so that gives me additional confidence. What are the big trends you see going forwards in consumer finance, and how does PayJoy fit in? Trend 1: If you’re not using more data, then you’re shooting in the dark and getting cherry picked. The whole thing [PayJoy is] doing on underwriting, tapping into social media, and finding a way to do that very very cheap — if you’re not doing that you’re running into an adverse selection problem. Trend 2: In my travels in Latin America people are used to the installment method, and the underserved segment in the US is likely to get used to that as well. In Brazil that’s just how people buy, and they’re willing to pay a premium for that. You even see Apple come in with a rent a phone type plan, but even better is an installment schedule where you own the phone. Trend 3: Particularly on the loan side, how do you incentivize people to the right behavior, which involves asking for the right downpayment? For me there is a behavioral part to this. If you’re an Uber driver, you need to drive a certain amount to make your payment, or your car gets shut off. In this case, its down to the amount you put up front. PayJoy asks people to put 20% down, and the phone doesn’t work if you don’t pay. You have to count on consumers to behave the way you want them to behave, not just focus on a loss pool. That’s where I am seeing consumer finance heading. Also, no one has cracked retail yet except for big box appliance stores, where heavy underwriting made sense. The fact is that electronics is now where people are spending a lot of their money. Someone has to win this. You see Apple coming in with their strategy. PayPal credit has struck some partnerships where they have done a lot of consumer electronics financing successfully. Electronics are now considered a core utility with a high up front costs. PayJoy is solving a known problem in a hugely growing area. Where is the biggest need for PayJoy? I think it’s in the market where the phone is the computer. There’s a heavy underserved population that’s looking to help get that purchase done. By getting that purchase done you’re helping them do a lot more and a lot more cheaply. Moving from a flip phone or a low end smartphone to a full end smartphone can make their lives significantly better. How will mobile impact payments and finance? On the product side, the fact is that mobile is so important that it needs finance. I think consumers are expecting to do everything on their mobile phone. Here you are in this situation where all servicing is happening electronically. Because you’re tied into a phone and you’re servicing through the phone, you’ve cut your admin costs down tremendously. Admin costs have traditionally been a significant cost of the account, depending on the yield. That’s a serious competitive advantage that you don’t have to worry about the paper based costs. Also, the fact you have a direct line into the borrowers on the products they’re using is critical. The way we buy phones is changing. People in the mobile industry may be aware of these changes, but it is fair to say a lot of people aren’t. That’s because the process of paying for a phone is complex and often intentionally obtuse. Why care? 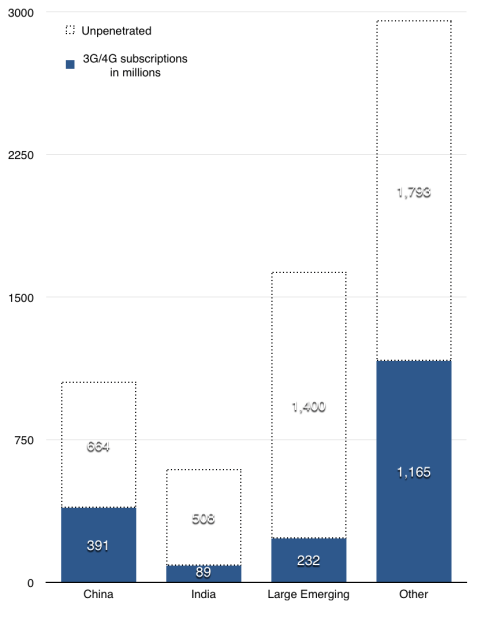 The smartphone market is enormous. Here is our in depth analysis of where we stand today from Asymco data. Here’s a brief rundown of how buying a smartphone works in the US in 2015, as well as some tips and tricks for getting the most bang for your buck. Getting a phone used to involve complicated contracts, penalties, and a rigid structure that kept people locked-in for years. All of this was done mainly to get people to pay off their phones without realizing how much it was actually costing them. It used to be the cost of the phone was folded into a two-year service contract. Carriers would subsidize the full cost of the phone, so a buyer could get a $600 iPhone 6 with only a small down payment. But the buyer would still need to pay the subsidy back a little bit each month. That’s why the two-year contract was so important: it ensured that the buyer would pay back the full cost of their phone before they upgraded to a new one. The problem was that these plans didn’t allow much flexibility. If the buyer wanted to upgrade to a new phone before the end of their contract, they would be charged a large fee. Eventually the carriers realized that they — and customers — could benefit by switching to a model that gives consumers the flexibility to upgrade more often. They started offering equipment installment plans (EIPs) that separate the purchase of service from the purchase of the device. Now, consumers get to pay for their smartphones over time without committing to a long-term contract. Customers pay for service month-to-month, and can upgrade their phones whenever they want as long as they pay off the full cost of their previous device. This change is happening fast. T-Mobile was the first to get rid of contracts in 2013. Verizon was the last major carrier to embrace EIPs, and they’ve seen a huge growth in the number of consumers that are choosing them: 58 percent of their phone activations in the third quarter of 2015 were on installment plans compared to only 12 percent in the third quarter of 2014. Below are more numbers from the past year. The EIP model is a much better deal for consumers. It’s a more transparent pricing structure; people now know what their phone is really costing them. They can also keep their old phones when they upgrade—a big benefit considering that a certified pre-owned smartphone can be resold for hundreds of dollars. What’s even more fascinating is that these installment plans are spreading to places like India, where “EMI” plans are now a popular way to buy devices. Rather than charge an interest rate or markup, the retailers simply withhold discounts for consumer who want to pay monthly. These plans also required credit checks, so are really for the top 1%. Consumers can also lease smartphones now. The arrangement is similar to an EIP, except that after a certain number of monthly payments, the customer has to trade in (not keep) the phone. Carriers like the leasing arrangement because it sets the consumer up for a long-term relationship where they are continually upgrading and trading in their old phone. But for most consumers, it makes more sense to use an EIP through a carrier or PayJoy, where you can pay out your balance at any time and own your device. Or, opt for a hybrid like the Apple upgrade plan, where consumers are eligible to upgrade after 12 payments, but can also make 12 more payments to own their iPhone outright. The main benefit of the leasing arrangement is that you can skip the process of reselling your old phone. Another option for getting a phone is to use Mobile Virtual Network Operators (MVNOs) such as Tracfone, which sells its phones through Wal-Mart and other retailers. MVNOs buy access to multiple carrier networks at wholesale, so they can play them off each other to get the best price for minutes. MVNOs often use prepaid plans, so there’s no need for a credit check, and there’s a ton of low cost options out there. There’s also no contract or commitment of any sort. MVNOs are a great option if you don’t have credit history and you don’t want to spend a lot. But what if you’ve got a tight budget, limited credit history, and want to use a high end phone not offered by an MVNO? Unfortunately, the major carriers only offer their EIPs and leases to consumers with good credit, so a lot of Americans are still being excluded from this business model. These people can get prepaid smartphones for cheap, but these tend to be lower-end devices. For the high-end smartphones that cost $600 or so, these consumers can’t qualify for the installment plans or pay that cost upfront. PayJoy fills this gap by giving people an option to pay over time for premium smartphones regardless of their credit history. Our installment plans give a new option to a large segment of the population that hasn’t yet had convenient access to the best smartphones. Once a consumer pays the phone off, they can keep it, trade it in, or sell it themselves. The process of buying a phone has become more transparent; now we’re working to make it more accessible to the next billion consumers. With contribution by Bryan Jinks of Hippo Reads. In America it seems like smartphones are ubiquitous. Everywhere you go, people are paying for their coffees, depositing checks, Snapchatting and Instagramming, and scheduling appointments from their phones. In fact, most people, when faced with the choice of choosing to give up their car, their laptop, or their smartphone, would let go of their phone last. Why? It’s not because they couldn’t live without Instagram. It’s because smartphones have become a utility in our lives, as important to our daily functioning as electricity. That’s why refugees will wait hours for a YouTube video to load on a camp’s overburdened 3G network, if they can’t get WiFi from a volunteer carrying a hotspot in his or her backpack. Internet access from our smartphones is simply something many people can’t live without. Last week we pointed out how this kind of digital access is still proving elusive to 80 million Americans — more than you would assume. Globally there are billions of people who don’t have access to internet at all, much less a smartphone. These people are on the wrong side of a swiftly widening digital divide. In 2015, for the first time, more people in the UK identified their smartphone as the “most important device for connecting to the Internet” than did their laptop or desktop (33% vs. 30% and 14%, respectively), and this is heavily weighted to younger, lower income, and thin file segments of the population buying smartphones now (below). The smartphone is increasingly the main portal to the internet for the middle classes of the developing world, and adoption is running on a fundamentally different trajectory (below from Asymco). But this does not capture the sheer number of people involved. 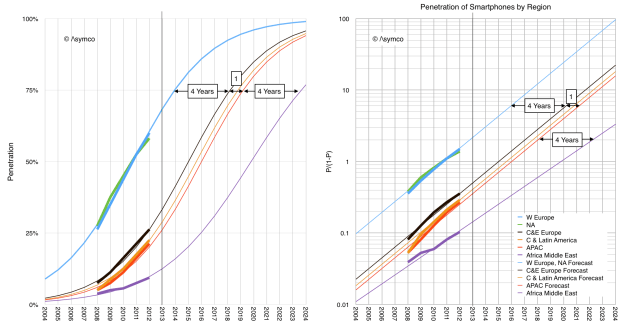 The chart below from Asymco provides a better picture (y axis is in millions of users), but is echoed by other studies showing that by 2020 four in every five smartphone connections will be in developing nations. Those who don’t make the shift to an internet-connected mobile device will increasingly be cut off from from important flows of information. But perhaps more importantly, they are cut off from the most important tool for increasing financial inclusion that the world has ever seen. More than 2 billion people—roughly three-quarters of the world’s poor—do not have access to financial services. Being unbanked is more than an inconvenience: it can hold back economic productivity, disempower women, and discourage preventative health measures. Luckily, the increasing proliferation of smartphones can help. Commercial uses of mobile phones can be surprisingly high in areas with low internet connectivity. One study found that fishermen in southern India reduced risk and boosted profits by sharing information on catch volumes and market prices via mobile phone. Another found that mobile-enabled communication between grain traders in Niger helped improve outcomes during the 2005 food crisis. This obvious value add is driving widespread adoption of smartphones outside of the West. This trend is even more apparent when it comes to financial services. Studies have shown that the poor in countries like Uganda and Tanzania are much more likely to use mobile payments systems than they are to use bank-aided transfers, Western Union, or other methods. Companies that provide these services in developing nations are expanding rapidly. M-PESA, launched by Kenyan telecom giant Safaricom in 2007 as a system for microloan repayments, was used by two-thirds of Kenya’s adult population in 2013. At the end of 2013, there were 219 mobile money services in 84 countries sprinkled across Africa, Latin America, and Asia. In the developed world, we often worry that the “digital trail” we leave on the internet will be turned against us. But for the unbanked in developing countries, this digital trail can help prove their creditworthiness in the absence of credit scores. Widespread dispersal of smartphones could really go even further to serving the unbanked. In the developed world, we often worry that the “digital trail” we leave on the internet will be turned against us. But for the unbanked in developing countries, this digital trail can help prove their creditworthiness in the absence of credit scores. Startups like Lenddo and Affirm are already using social media identity as a proxy for FICO when making loans, while Socure uses similar information for fraud prevention. This technique could work with poorer, more marginal populations as well. For instance, some researchers have suggested that microfinancial institutions could get a better assessment of potential borrowers’ creditworthiness by studying their internet activity. So universal smartphone access can have a massive impact on being able to secure and extend credit. Many hurdles stand in the way of full smartphone penetration. 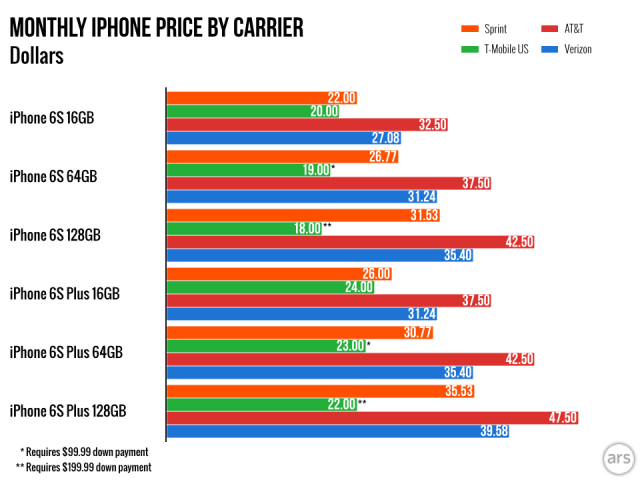 Perhaps the most important one is the simplest: smartphones are expensive. 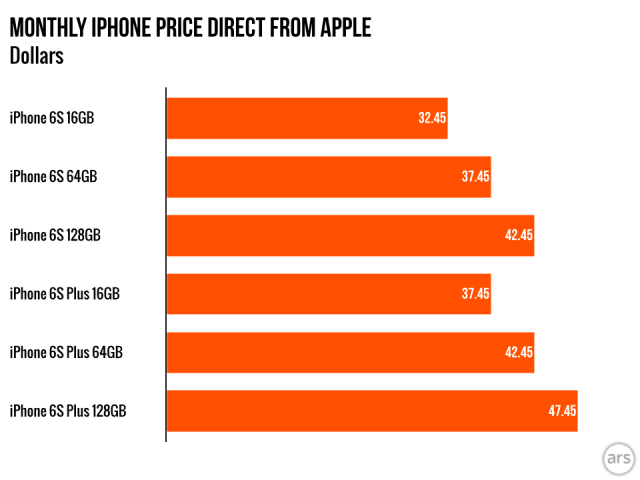 In the U.S., a new iPhone costs more than $650 without a contract. It’s true that cheap Android phones are proliferating in developing markets, many of them for the equivalent of $30 or less. However, these low-end phones don’t seem to be meeting the needs of the average user: the average Android phone purchased today still costs $220. For people without access to credit, this is a high bar. Realistically, phones will need to be priced fundamentally differently to serve the next billion new users. In economic terms, smartphones are an inelastic good: the more affordable they become, the more people will buy them. The last five years has seen an explosion of companies exploiting this low-cost trend, including Xiaomi, the so-called “Apple of China,” and India’s homegrown Micromax brand. The only way that more established corporations like Apple or Samsung will be able to compete is if they make their products affordable and approachable to poorer users. With PayJoy, we can make make that a reality. We enable any Android phone to become a pay as you go device through our proprietary locking technology. We don’t require credit bureaus or other paperwork, and offer extremely low interest rates to anyone who is willing to put up a small downpayment, has a government ID, working phone, and Facebook account. With contribution by Jill E. Merriman and Nathalie Lagerfeld of Hippo Reads. Today T-Mobile’s CEO John Legere announced that 15 million customer records were breached on an Experian server connected with credit checks for device financing. The WSJ points out that records included names, birthdays, and social security numbers — sufficient detail for any hacker to steal user’s identities. It may be time to ask whether giving out our social security numbers to buy a device makes sense anymore. But why? We don’t do this for electricity, even though the electricity companies install expensive equipment at our houses. We don’t do it when we drop our car off at a garage. There are countless other cases. The unfortunate reason is that no other option has been tried. And in fact, the smartphone is so much more like electricity than a car purchase. It is a critical utility. Rather than collateralizing your credit score, opening up prime customers to identity theft, and not allowing subprime customers to pay over time, we at PayJoy are suggesting a fundamentally different model. We qualify people with a government ID, working phone number, and Facebook account, and simply shut off the device if a payment is not made. Like electricity. We look forward to partnering with carriers to help them do the same.